Version 2.4 is now available in your sandbox for pre-release. Note that we will be pushing the 2.4 upgrade to your production account during off-peak hours starting April 4, 2018. 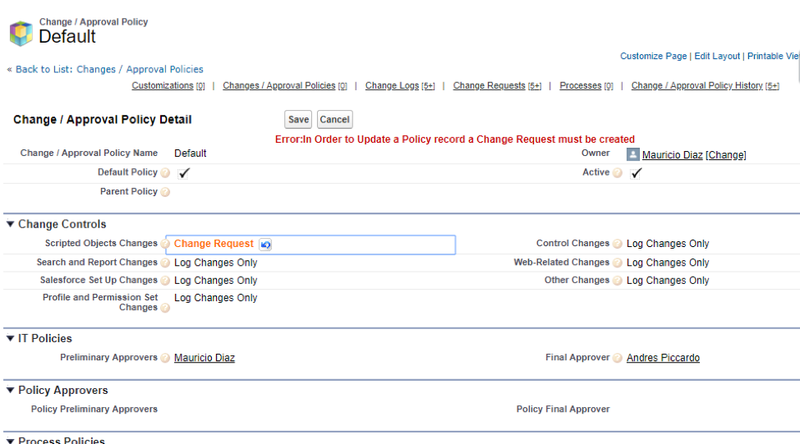 Update Existing Policy Record: An IT Administrator opens the organization’s Default Policy and attempts to modify the Scripted Objects Changes control from the Change Request level to Log Changes Only level. This change would allow users to modify any scripts or workflows, without any change control or approval. With Strongpoint’s new Policy Change Management feature, the IT Administrator is now prevented from making this unauthorized change to the default policy. Many of Strongpoint’s customers have integrated Salesforce with other enterprise systems by using Integration Platform as a Service (iPaaS) tools. Strongpoint has partnered with Celigo, a leading iPaaS vendor, to see through the integration layers and map dependencies between integrated systems. This extends all of Strongpoint's documentation, change monitoring, impact analysis and change management capabilities to the entire application ecosystem. This makes it very easy for Business Analysts and Developers to understand if changes they make in Salesforce will break something in NetSuite or any other enterprise system connected via Celigo. Additional iPaaS platforms will be added this summer. Strongpoint wishes to extend a special thanks to Celigo for being our first iPaaS partner! We are working hard to support this capability with other leading iPaaS vendors. Reach out to us if you are using a different iPaaS vendor. After the initial scanners execution, screenshots of the status report are typically needed by your Admins, Auditors and IT team in order to ensure the account is fully documented. A Download pdf button is included to simplify this process. We have implemented a performance enhancement on the rollback dependencies diff check. Note that the process is the same, however with some logic updates, so that the dependencies are processed more quickly. 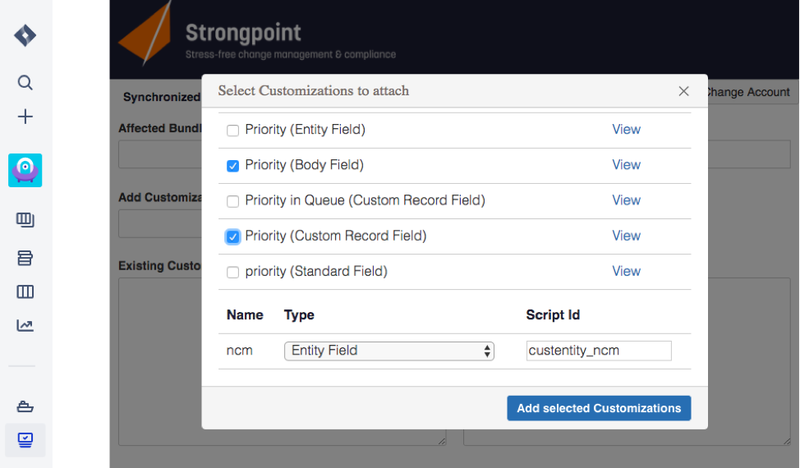 The scheduler page is used to schedule Strongpoint scripts. These scripts can be scheduled to run either daily or weekly. Our new enhancement enables users to pre-schedule the day of the week they want to run the weekly execution.